Since the late 1960’s, British artist Phyllida Barlow has developed a practice that is grounded in an anti monumental tradition. Her often brightly coloured sculptures are made of readily available materials such as cardboard, cement and plaster, polystyrene, timber and paint. These inexpensive materials are then transformed through layering, accumulation and careful combination to create large scale pieces. 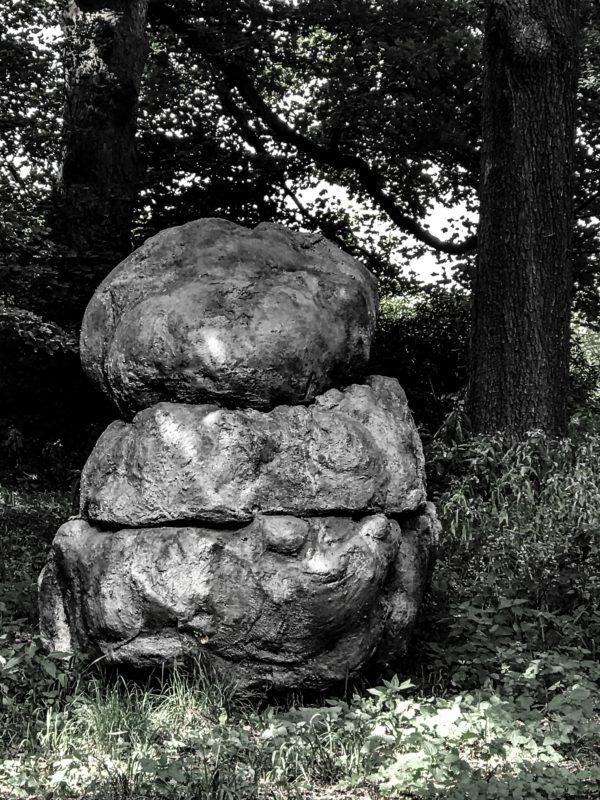 Although at first glance “Squatboulder” and “Triplestackboulders” appear to be large stones, closer inspection reveals Phyllida Barlow characteristic fusion of man made materials. 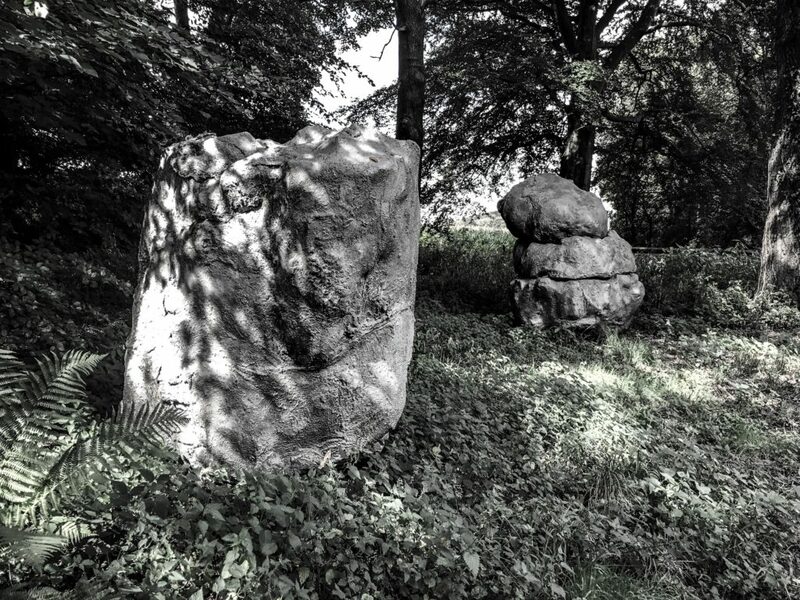 Barlow, references the darker side of rural life, the industrialisation of the landscape and social effects of urban migration in English history “Triplestackboulders” is mounted on casters, which adds to the absurdity of its seemingly natural appearance. In this respect, the work relates directly to the landscape at Yorkshire Sculpture Park as the Bretton Estate was modified in the 18th century and many aspects of the park that may seem natural are in fact designed and created by hand. Phyllida Barlow has exhibited widely both nationally and internationally, including a commission in the Duveen Galleries at Tate Britain in 2014, and was chosen to represent Britain in the 57th Venice Biennale in 2017.